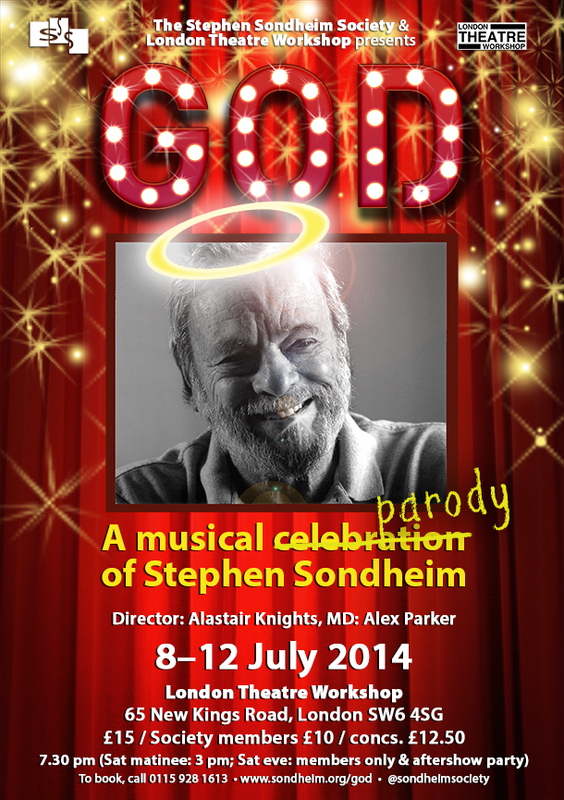 Celebrating the 20th Anniversary of The Stephen Sondheim Society ‘GOD’ is a celebration (and parody) of the greatest Musical Theatre composer of our time. Featuring a cast of winners and competitors from the societies ‘Student Performer of the Year Award’ plus newly commissioned music from emerging Musical Theatre composers and ‘Stiles and Drewe New Songwriting Competition’ writers – this evening promises to be an affectionate and dazzling tribute to the great man himself. London Theatre Workshop is an independent theatre company. We do not receive any funding so are reliant on ticket sales, hire of the space and the generosity of our supporters. If you would like to make a donation to show your support please click on the link to the right or contact us for more information.